I had quite a few projects going on this weekend. 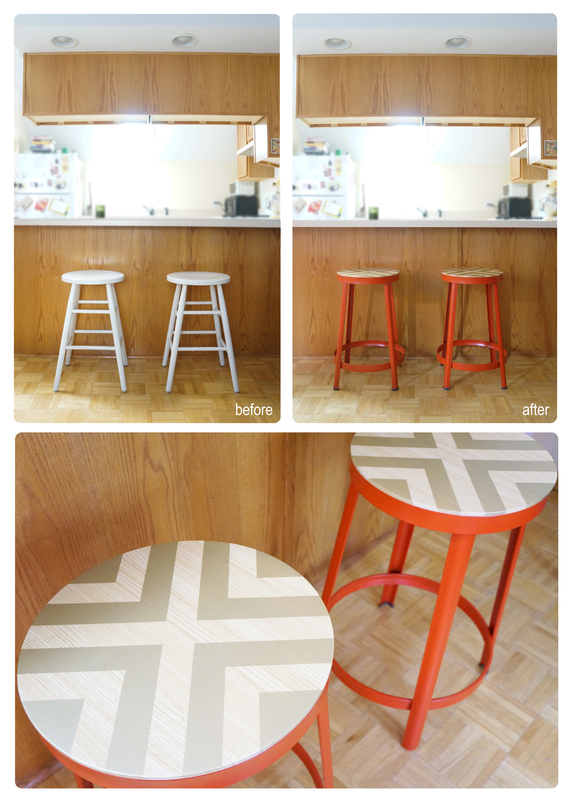 One of the smaller ones was adding a little extra sass to some new bar stools I found last week. 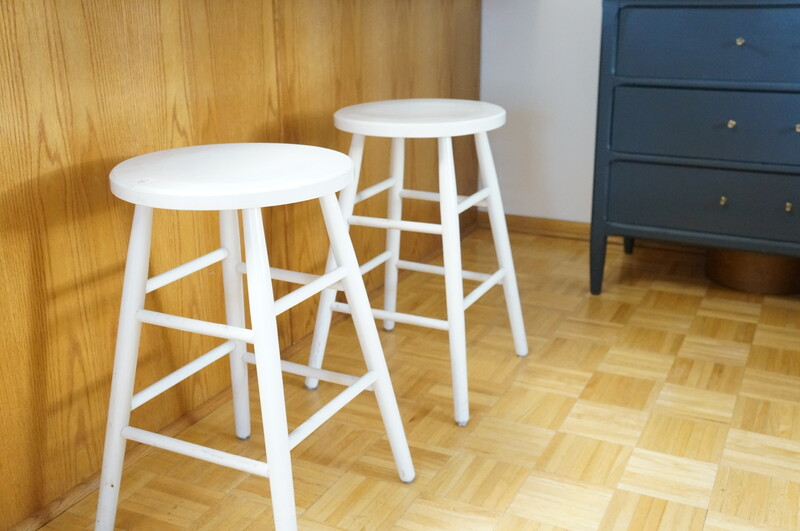 The girl who rented my apartment before me left these white bar stools behind. They’re fine, not the worst, but also not the best. There were so many other things that my place needed that I never even gave replacing them a second thought, especially since I most likely won’t be bringing them with me when I move out. 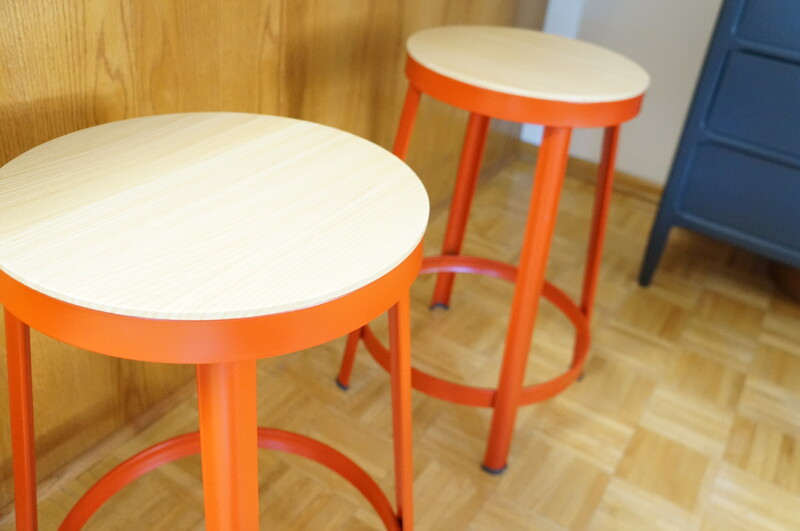 But the other week I saw these cute colorful stools at Target and thought they would be a great fun (and inexpensive) addition to my space… but they still lacked a little something. So hello to my most recent attempt at a DIY project. I grabbed a can of gold spray paint and some painter’s tape and went to work to add a chevron inspired pattern to the seat to make them a little bit more interesting and fun. I just taped out my pattern, trying to keep track of which part I’d peel back off and paint… and went outside and took care of business. I almost left the bases uncovered, but didn’t want to risk getting gold paint all over them, so I wrapped those up too. I was hopeful that since this project was a little less ‘crafty’ than my last attempt, that I’d have a better chance at success – and whaddya know… they turned out great! This project was so easy and turned out so well that I think I might just start spray painting everything in sight. Sometimes the trick to finding the perfect addition to your house is adding a little something yourself. It looks like I work a lot better with spray paint and tape than pumpkins and glitter… and I couldn’t be happier with my new stools, even if they don’t come with me when I go. are you creating your space with intention?